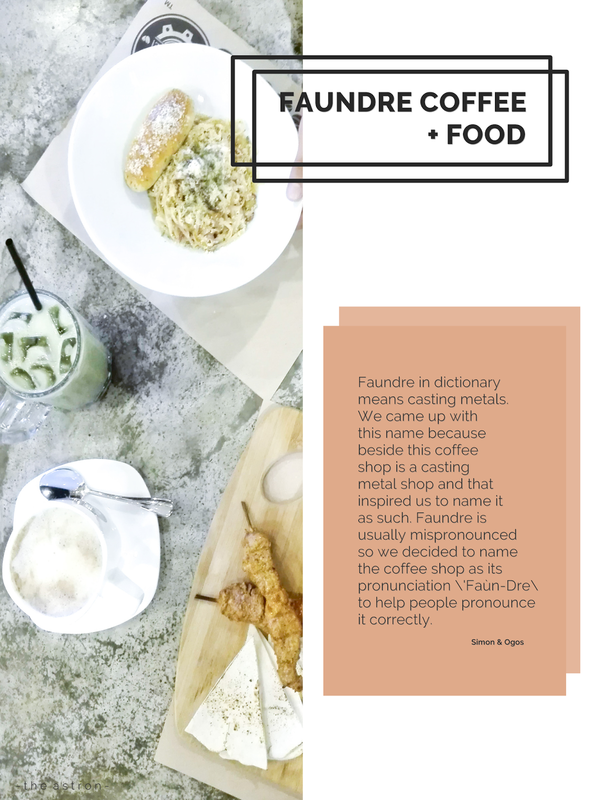 Faundre is a new coffeeshop in Zamboanga City. First two-storey and spacious coffeeshop in the city. They started brewing on November 25, 2017, then good news will be announced at the end of this post. So, read along. 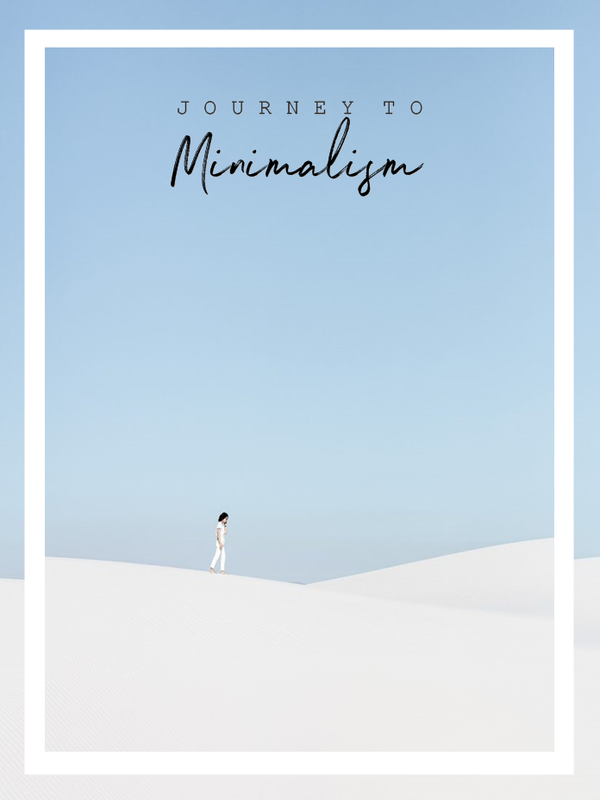 A lot of firsts happened in Faundre in my case, my first bloggers' event, first time to interview business owner which you can read over on my previous blogpost, met a blogger from Zamboanga City, and went home a little bit later than usual. Behind story of the coffeeshop is live here. 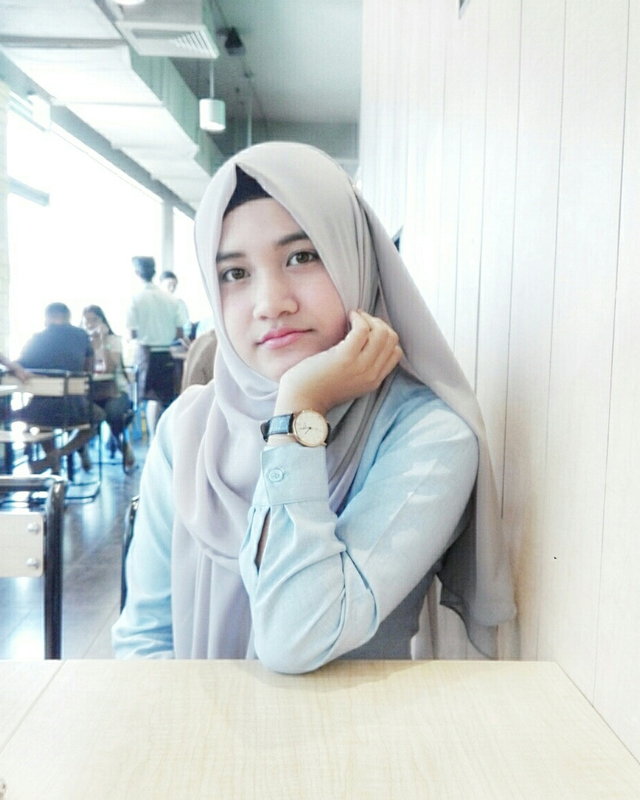 Then, let's talk about the coffeeshop itself. As always, we'll start with the architecture and interior design. As I have mentioned on my previous blog post, their theme is industrialized. 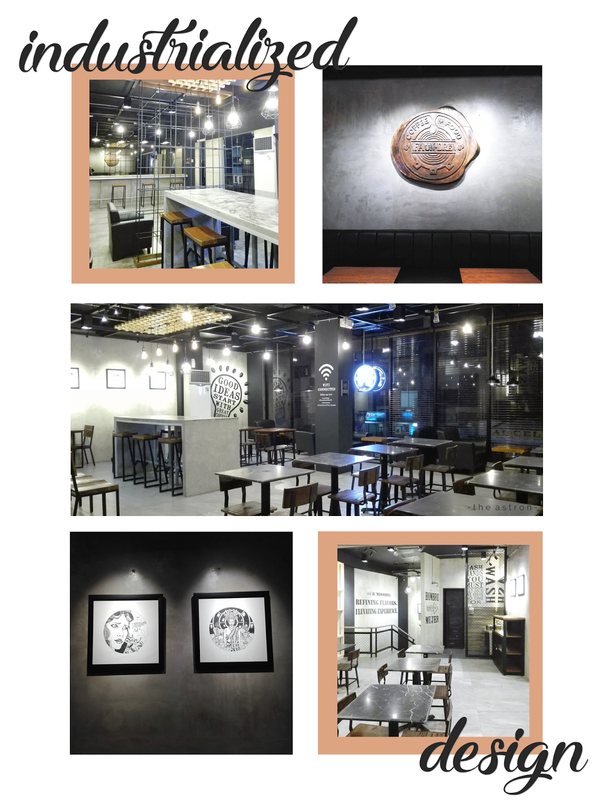 I've seen so many cafe or coffeeshop designed similar to this in South Korea (discovered from a Korean Vlogger which massively review different cafes in Seoul), and also share same ambiance with the popular "The Coffee Bean and Tea Leaf", but this is a first for Zamboanga City so I'm pretty much happy about it, because finally! Every corner is instagrammable and that's when you know that it's worth it. Also love the little quotes in different corner of the walls, the enormous mirror perfect for mirror selfies, and the lighting that gives cozy ambiance. Although in general, it isn't my instagram theme, I can always make it work and that's when you know that I'll sure come back for more photos. So Ethriel and I were given the privilege to try any or every food/drinks they have for free. So I got the Chicken Tikka Masala and Ethriel got the Tuyo Pasta. These were the menu that we don't see in common in Zamboanga City. + Chicken Tikka Masala is a chicken kebab-ish plus hummus & sauce, was inspired in Malaysian cuisine but actually is originated in Britain and India. At first bite, I knew that they've put different kinds of spices. I personally love spicy food, so I very much enjoyed this. If you're a spicy food lover like me, better get this one. + Tuyo Pasta was of course, inspired by Filipino + Italian cuisine. When I hear pasta, Italy goes along. So mixing these two cuisines was a great idea because it attracts customers. It tastes good as well, you can really taste the tuyo but it isn't "malansa" at all. One more thing is, Faundre professionally make their own noodles for their pasta dishes. That's a massive point. During the interview with the business owners of this coffeeshop. They mentioned that their main feature menu is their + Affogato. I may not be a coffee drinker but it has icecream, that solves everything. And what made it more special is they added an oatmeal+chocolate baked bar which was the bomb of the combo. Strong and small amount of espresso was added to the Italian vanilla icecream, and you eat it before the tasteful oatmeal+chocolate baked bar. Or any way you like, it's up to you. So yeah, we realize that life is good when we eat good food. As for the drinks, I went for a + Chai Latte and Ethriel got the + Iced Green Matcha Latte. We both love our tea, although he's really a coffee drinker (and I'm not). Chai Latte was so good because I've never had such drink here in the Philippines, only when I was in Saudi Arabia. I know we have it everywhere but it's just not my regular choice. Since I'd love to try something new, I went for the five spices Chai Latte. Then, time for the customer service. Two words can describe their customer service, well trained. Good customer service is so important it affects their customer's mood. So, accommodating and approachable customer service is what I love. Shout out to the store manager and crews who was smiling the whole time, and other crews who did an un-candid pose during the photo shoot. I'd love to mention the bakers upstairs who looked happy in what they do. Above all, I love Faundre Coffeeshop. 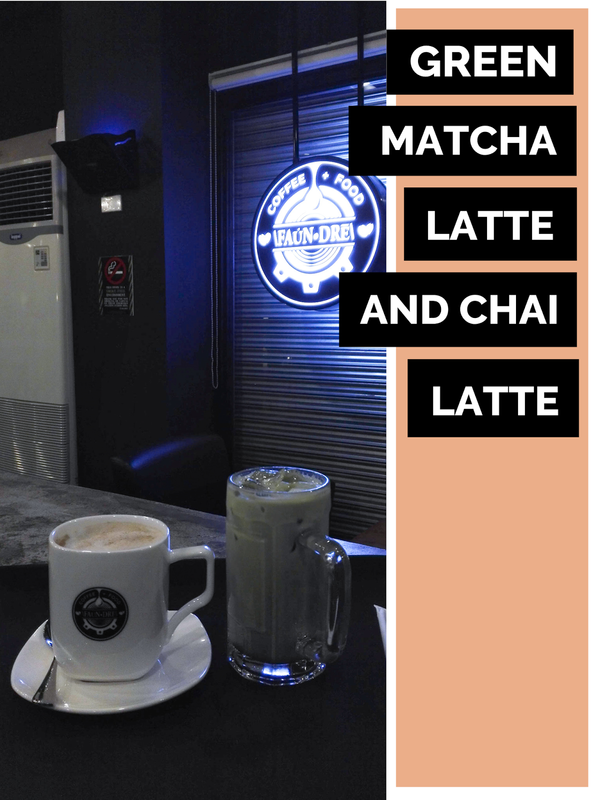 And when I come back to Zamboanga City, I'll go straight to this coffeeshop because I wasn't able to come to their soft opening due to priorities. But what can I say, they SOLD OUT in just a week. Congratulations, Faundre Coffeeshop! That pasta looks REALLY good. I love your photos! The place sounds lovely, this makes me really want to try it. I know right, it tastes REALLY good as well. Thank you Joanne for the compliment, means a lot to me. I sure will let you know. And thanks for dropping by, Joanne. This is truly such an amazing post, I love it, love the pictures as well, the foods look absolutely delicious. Thank you for sharing, cannot wait for the next great post!!! Awww thank you so much, Nora. ohhh I'm so hungry now haha.. love it! 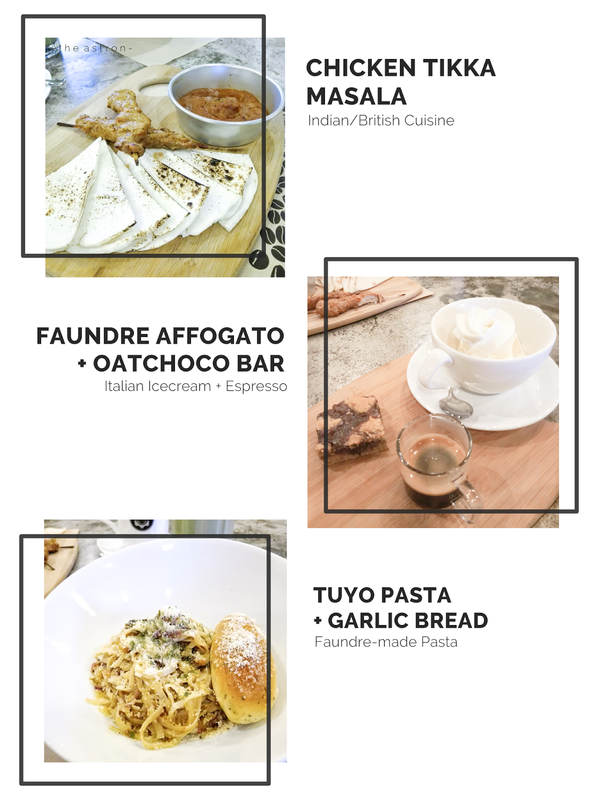 I bet pasta and affogato will be perfect for your hungry tummy, haha. Thanks for dropping by, Lisa. Agree! Also, you can stay for a whole day to enjoy their services and ambiance. It is really a good coffee shop, indeed. Aww thanks and thank you for dropping by, Demilade. The coffee shop looks so good and I can already imagine how relaxing the ambiance is! Their toyo pasta sounds so interesting and delicious! Do they have WiFi connection? So how do you pronounce it properly is it Foundry or Faundre?